You’re happy to let them use Facebook Messenger in the evenings, but you don’t think they’re quite old enough for a phone of their own just yet. What to do? 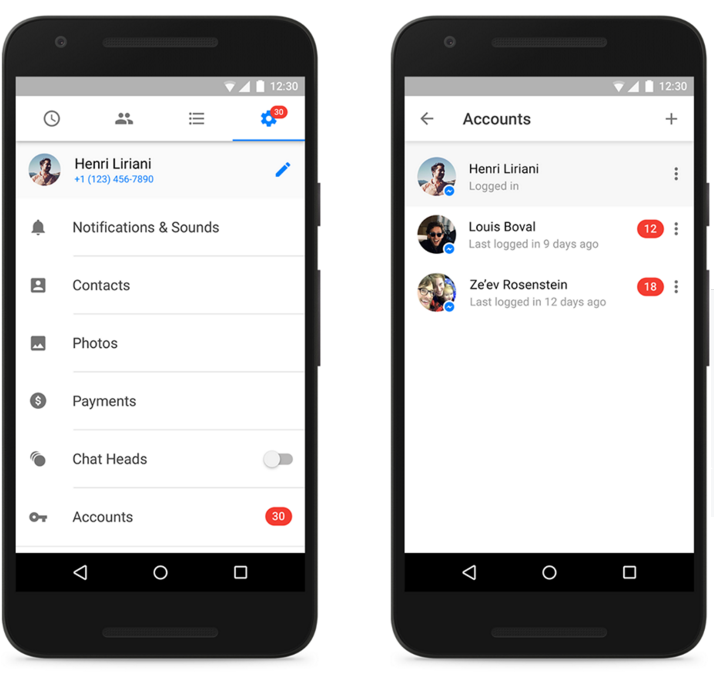 Facebook has just simplified things a bit, adding support for multiple Messenger accounts on one device. Facebook has designed this feature to be pretty flexible, in the sense that you can determine whether you need a password to hop into any of the other accounts. For example, you can set it so that you, as the parent, can hop into your kids’ accounts if you want to make sure they’re not chattin’ up a storm with any weirdos. Meanwhile, your own account can be locked down so Junior doesn’t stumble upon anything that’ll damage him forever. Or, if you’re just sharing a tablet with the roommates, you can lock down everyone’s account to keep everyone’s private stuff private and to keep life drama free. All anyone can see for other accounts is the notification count. We first spotted this feature in testing about a week ago, but now it’s officially rolling out. The catch? It’s Android only, for now — so if you’re sharing an iPad, you’re stuck logging-in-and-out-like-a-chump.